Harley Clarke mansion, 2603 Sheridan Rd. Aldermen will consider a contract for a 40-year lease of the mansion with Evanston Lakehouse and Gardens. Aldermen at Monday’s City Council meeting will consider a lease agreement with Evanston Lakehouse and Gardens for the Harley Clarke mansion, as well as a grant to provide technology job training for moderate and low-income residents. The historic mansion, located in north Evanston along the lakefront, has been vacant since 2015 when the Evanston Art Center moved out of the building. 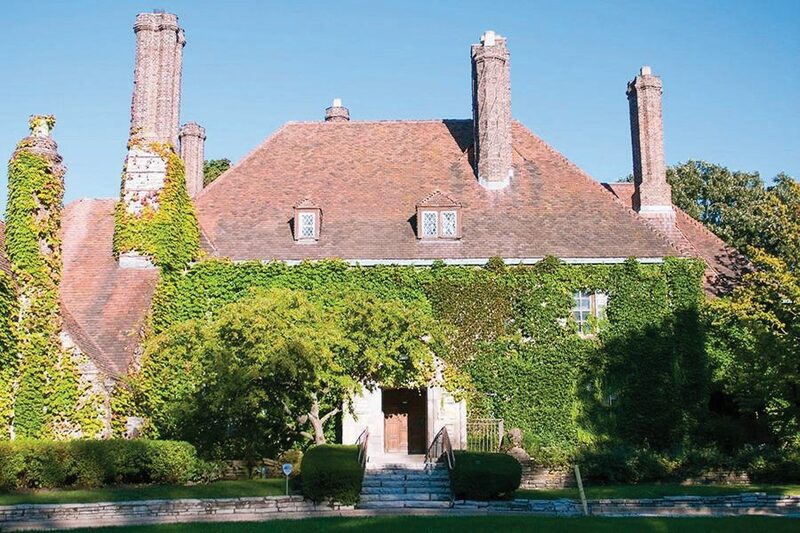 In November, aldermen authorized the city to draft a contract to renovate and lease the mansion — which includes lakefront access, a greenhouse and garden — with Evanston Lakehouse and Gardens. The lease aldermen will review on Monday is for 40 years and requires Evanston Lakehouse and Gardens to raise $2 million over three years to fund improvements to the structure, according to city documents. According to the plan, the mansion will open to the public in May 2023. If the contract is approved, Evanston Lakehouse and Gardens will begin with the first phase of improvements, which include the mechanical, electrical and plumbing upgrades, according to city documents. The second phase of the renovation will include the restoration of the coach house and parts of the main structure that were not updated during the first phase. Aldermen will also review Monday a grant agreement with a program that proposed free coding classes to residents. Evanston resident Emile Cambry submitted the Evanston Codes program to the Economic Development Committee in February, saying his entrepreneurship centers network, Blue1647, needs $75,000 to create four classes for about a total of 100 students, according to city documents. Blue1647 aims to serve “youth, start-ups, veterans and diverse individuals who seek to learn 21st century skills,” city documents said. Cambry also plans to license out an online training program and have graduates from the program serve as ambassadors at local schools. He hopes to build relationships with Evanston businesses and other programs that may need Blue1647 graduates to create apps or websites. City staff proposed the program will receive payment deductions for drops in Evanston resident enrollment and will require proof of local enrollment before the payments are approved. The program will also be required to report on its progress each quarter before receiving funding for the next section.